“You’ll Remember Always…Graduation Day!” Okay, Now What PR Graduate? This month, tens of thousands of kids — no disrespect intended — will reach the summit of one of life’s greatest plateaus: They’ll have earned enough credits to graduate from college, and consequently have earned the right to use that education to make their mark in the world. In the not-so-distant past, many college graduates could look across that plateau with optimism, envisioning prospects of landing a fine job with a commensurate salary that paid the rent and car note, and left sufficient funds for some good beer. 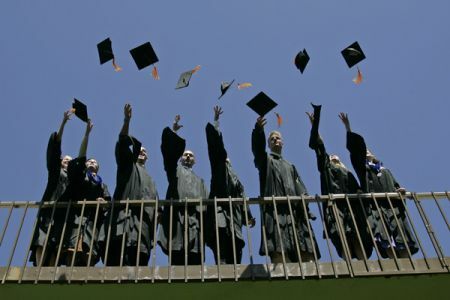 You know what’s coming next: Many graduates today face a bleak future, one with few job prospects in their chosen field, possibly a five-figure line of debt and few discretionary funds left for even cheap beer. But take heart graduates! Yes, like the song goes, you’ll always remember graduation day — as the day the realities of life stared you right in the face, and the day you got to toss that cumbersome mortar board hat in the air and shed that shed that antiquated gown. Now it’s time to be decisive and act. If you’re fortunate enough to have landed a job in your field, or in some other field, perhaps you’ll want to stop reading now. But if you’re pursuing public relations and are searching for that break, that opportunity to join the profession, keep reading. Hey, The PRDude likes readers. Everyone, keep reading. The following thoughts are designed to provide some direction for anyone who hopes to land that first gig in the public relations industry or any honest line of work. Hopefully, it’s a job pays a fair wage for your talents and skills, will help reduce the college loan statistic and, of course, leave a few dollars in your pocket for good beer. Goal: Land a job in public relations or a communications discipline within one year. Unreasonable? Maybe, but set 12 months as a target. Each quarter, analyze what you’ve accomplished to reach your goal. Make adjustments quarterly. Strategy: Define yourself to others as a public relations professional. Before you ask, “Well, how if I’m not working in the industry?,” here’s the answer: Get involved in some way. Volunteer. Take on freelance assignments. Start your own consultancy. Objective: Build awareness for yourself, your skills and your desire to enter public relations. Employ word-of-mouth. Start a blog. Join a group that’s affiliated with public relations or the communications industry. Seek out others — alumni are a good start — and build your network. Tactic: Turn off your laptop and put your handheld in your pocket. Get out of the house and meet people. Save the online and social media stuff for after dinner. Want more? This piece from Forbes offers some excellent commentary and advice. Still want more? Reply to this post, and I’ll get back to you. New rules are being written and fundamentals are getting tossed aside. The world needs new communicators to convey key messages about the direction we’re heading. Become a public relations practitioner and be among those at the forefront.